US Airways is offering a 100% bonus when sharing miles. US Airways 100% Share Miles Bonus: Earlier this week, US Airways launched a new 100% share miles bonus that runs now through October 15, 2013. Through the promo, “Members may receive a maximum of 50,000 bonus miles during the offer period”, but you can send as many miles as you’d like to other accounts and each is eligible to earn up to 50,000 bonus miles. There is no need to register as you will receive the 100% bonus miles automatically when you go to the Share Miles page. With this promo the cost drops to just about 1.1 cents per new mile created via the bonus, since you are paying the share miles costs and fees, but generating twice the miles. 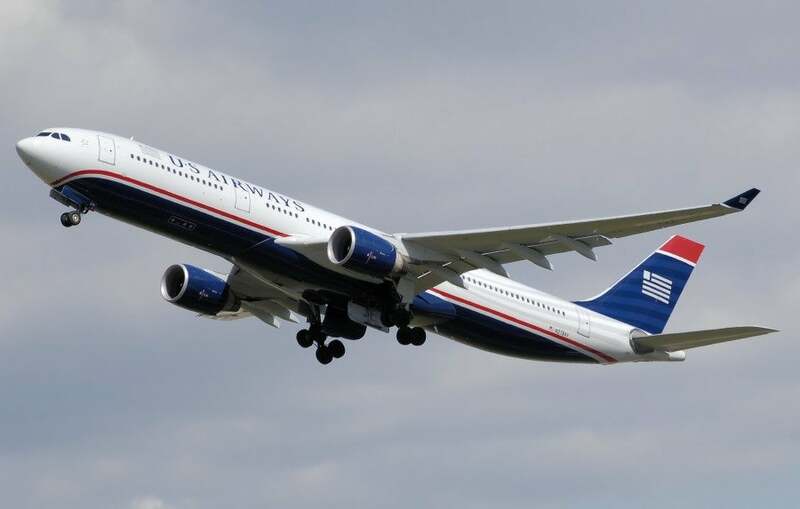 Enter To Win This Week’s 26,000 US Airways Miles Thursday Giveaway: This week’s Thursday Giveaway is for 26,000 US Airways miles to maximize their Share Miles promotion. To enter, just leave a comment on the original post telling me how you have helped someone in the past with miles and points, or how someone has helped you. You have until 5pm ET on Monday, October 7, to enter. Then Team TPG will go through them and choose a winner and announce it next week. The winner must have a US Airways account that is at least 12 days old to participate (per the rules of the transfer bonus!). Only one entry per person will be permitted. Good luck! Support Breast Cancer Research With Delta: Delta Air Lines has been a long-time supporter of the Breast Cancer Research Foundation. This year, Delta will donate $25 when you purchase or renew a one- or three-year Delta Sky Club membership using promo code BCR13 in October. You’ll also receive one extra month free with this offer. Since 2005, Delta employees and customers have raised nearly $6.75 million for BCRF, which translates to 18 fully funded research projects. Delta has over 50 Sky Clubs worldwide, all that offer complimentary house beer, wine, spirits, snacks, and WiFi. Delta is also selling Pink Lemonade on-board their flights this month, and the sales go to support the Breast Cancer Research Foundation as well. Targeted Offer of 10-50% Rebate on Redeemed US Airways Miles: US Airways Mastercard cardholders received targeted offers earlier this week of rebates on mileage redemptions made between now and November 30 of between 10-50% back. Travel must be completed by March 31, 2014, and at least 20,000 miles must be redeemed. The rebate is also capped at 30,000 miles. Still, even if you were to redeem 90,000 miles to fly to Asia in business class (which you can route through Europe with a stopover), you’d only end up paying 60,000 miles, which is pretty incredible. So always check your mail and your email before throwing out or deleting letters from airlines or credit cards because you never know what kinds of lucrative offers you’ll receive! 35% off Everything at the W Hotel Store: The W Hotel Store is offering 35% off on everything in the store including the mattresses which are one of my personal favorite hotel beds. The great thing is the mattress comes with a 10-year warranty, and there is free shipping on the mattresses. You can choose between ordering just a mattress or a mattress with box spring. The store also sells the W Feather Bed for those who really want to invest in a high-end sleeping experience. Besides the beds, you can also buy W Hotel bedding which is featured in the different hotels, apparel, electronics, books, bathroom amenities and travel accessories. As a reminder, if you use your Starwood Preferred Guest Credit Card from American Express or Starwood Preferred Guest Business Card from American Express you will earn double Starpoints on this purchase. Just enter the code WSTAR35 at check out and the discount will be applied. 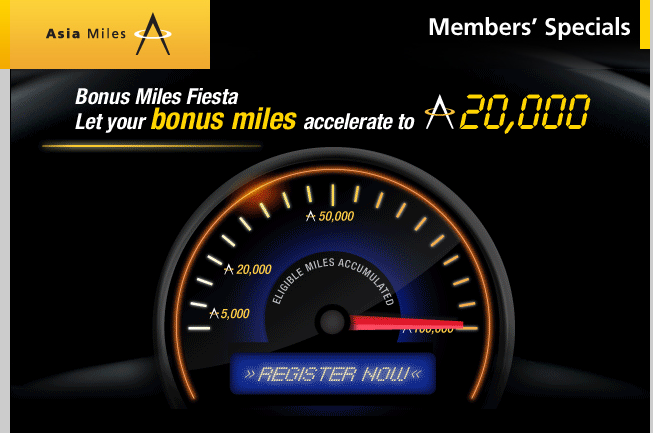 Earn up to 20,000 bonus Asia Miles. Asia Miles is the frequent flyer program for Cathay Pacific and partners include car rental companies (such as Hertz and Avis), restaurants, credit cards (such as Amex and Citibank), professional services, retails stores, telecom companies, and travel. Save up to 30% on advance bookings for Starwood properties. Save Up To 30% At Starwood Properties With Their Three Ways To Save Promotion: Starwood Preferred Guests now have three ways to save with the hotel chain’s latest promotion, which offers 10%, 20% or 30% discounts on rates across Europe, Africa and the Middle East when you book in advance. Book now through October 30, 2013, for stays through until December 31, 2o13, at participating hotels. Those discounted in the offer include the W Paris-Opéra, the Westin Paris – Vendôme, the Sheraton Paris Airport Hotel & Conference Centre and Le Méridien Beach Plaza in Monaco. You can partake in this offer on the Starwood site. For example, a 5-night stay at the W Paris-Opéra in late October with the sale price is 306 EUR per night and saving of 20%, as opposed to the usual rate of 360 EUR. Be sure to check restricted dates over the holiday period and cancellation policies. 100% Bonus When Transferring Avianca Taca LifeMiles: Now through October 15, 2013, Avianca/Taca is offering a 100% bonus on transferred miles. Transfers must be made in 1,000-mile increments with a maximum of 50,000 miles, at a cost of 1.5 cents per mile. Avianca is a member of Star Alliance and you can view their award chart here, but for instance, round-trip business class from North America to either Europe or Southern South America (Argentina, Chile, Brazil, Uruguay, Paraguay, Bolivia) is 100,000 miles (135,000 in first class). Another great value in the Avianca award chart is going from North America to South Africa (which includes pretty much everywhere in Sub-Saharan African including the Seychelles, Mauritius and South Africa itself) in business class for just 120,000 miles. Save up to 45% and earn up 3,500 HawaiianMiles with Hyatt. Save Up To 45% And Earn Up To 3,500 HawaiianMiles With Hyatt’s Your Oasis Awaits Promotion: Hyatt has teamed up with Hawaiian Airlines to help you save up to 45% on vacation packages for Hyatt Resorts & Spas in Hawaii. Book your flight with Hyatt and you will save up to 45% on your stay and earn up to 3,500 HawaiianMiles if you book now through October 17, 2013, for travel now through December 26, 2013. Save up to 25% and earn 1,500 miles per stay over a minimum of four nights. For full rules and regulations, click here. There are a wide range of properties to choose from, including the Andaz Maui At Wailea, which opened last month. Check out my recent post on the property for more details. United is offering a 25% discount on purchased United miles. 25% Discount on Purchased United Miles: Now through December 31, 2013, United is offering a 25% discount on purchased miles. That breaks down to 2.82 cents per mile. You can buy up to 100,000 miles for yourself or for others per account per calendar year. Miles normally cost 3.5 cents each, so while there is a 25% discount, I still wouldn’t consider this an amazing deal nor would I buy United miles without a specific redemption in mind. However, it might make sense for you to buy them to top up an account if you don’t have any Chase Ultimate Rewards points, which instantly transfer 1:1 to United. Lufthansa Offering Discounted Award Redemptions: Lufthansa is offering discounted award redemptions now through October 31, 2013, for travel from October 8 through November 16, 2013. The discounted coach awards are only 30,000 miles round-trip, while the discounted business class awards are 55,00 miles round-trip. If you have flexible travel plans, then perhaps you’d be able to take advantage of these discounted awards. Some discounted destinations include Amsterdam, Brussels, Budapest, Florence, Geneva, Milan and Prague. You can view the list of the discounted city pairs here along with what dates are available for each city. TAM airlines will be joining oneworld on March 31, 2014. TAM Airlines Joining Oneworld: Earlier this week, it was announced that TAM Airlines would be leaving Star Alliance and joining the Oneworld alliance on March 31, 2014. 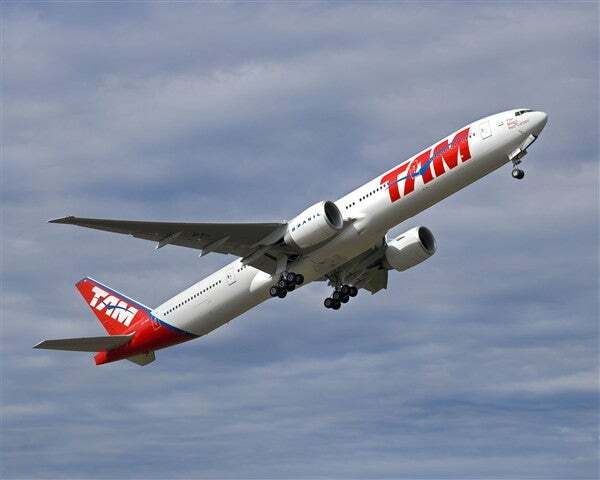 TAM is based in Sao Paulo, Brazil and offers flights throughout South America as well as to the United States. Oneworld flyers such as American Airlines AAdvantage members will be able to earn and redeem miles on TAM once they officially join and this should open up a lot more South American routes to them. Southwest Rapid Rewards members can earn bonus points when renting with Hertz. Earn Bonus Southwest Rapid Rewards with Hertz: Now through March 31, 2014, Hertz is offering Southwest Rapid Rewards members the opportunity to earn bonus points when renting with Hertz as well as a 35% discount. Here’s how it works: Rent for one to two days and earn 600 points; rent for three to six days and earn 1,200 points; or rent for seven days or longer and earn 2,400 points. To take part in this offer make sure to enter CDP 205418 and Promotion Code 159062 at the time of rental.